After interfacing 1.8" TFT display with PIC18F4550 microcontroller at the link below, now let's see how to make the same interfacing of this SPI TFT display with PIC16F877A microcontroller. Put the downloaded C file in your project folder. 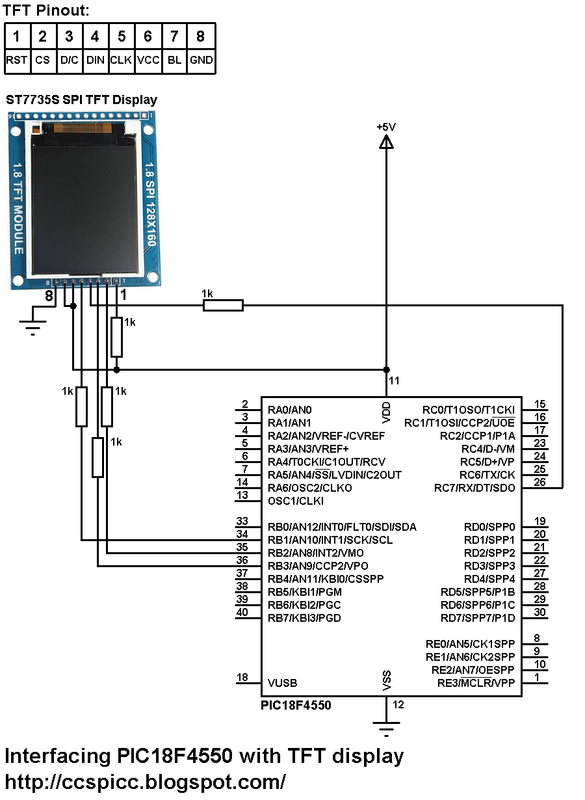 The system power supply is 5V and if you are using a microcontroller TFT display of 3.3V remove all the 1K resistors (5 resistors) from the circuit and connect the TFT display directly to the microcontroller. The microcontroller runs with 8MHz crystal oscillator, if you want to get better result (fast) use a crystal with higher frequency up to 20MHz. If you have a TFT display with green or red tabs or a TFT with ST7735B controller read the driver topic above. Note that green, red and black tabs have the same controller ST7735R. 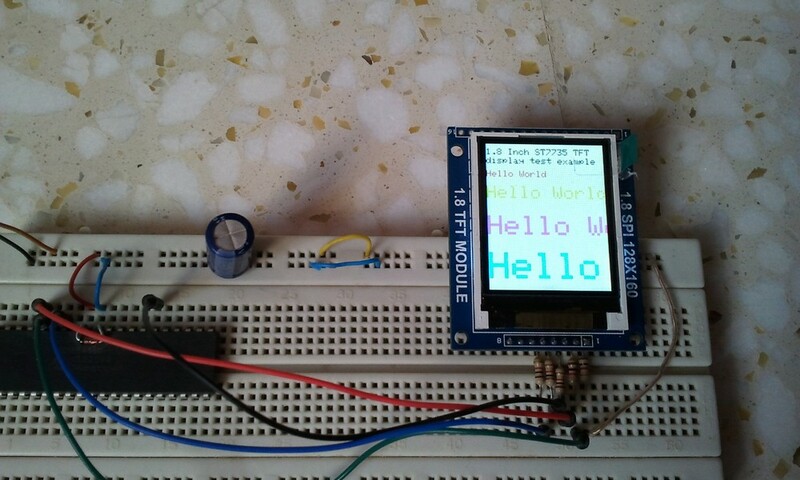 The following line means that the TFT willl display a text called txt starting from coordinates (0, 30) with red color, black background and size 1. The following line will display a white straight horizontal line starting from coordinates (0, 53). This code is tested with CCS PIC C compiler PCWHD versions 4 and 5. Simple hardware circuit of this example. This post shows how to connect ST7735S TFT display to PIC18F4550 microcontroller and display different things (numbers, text, lines, circles .....). 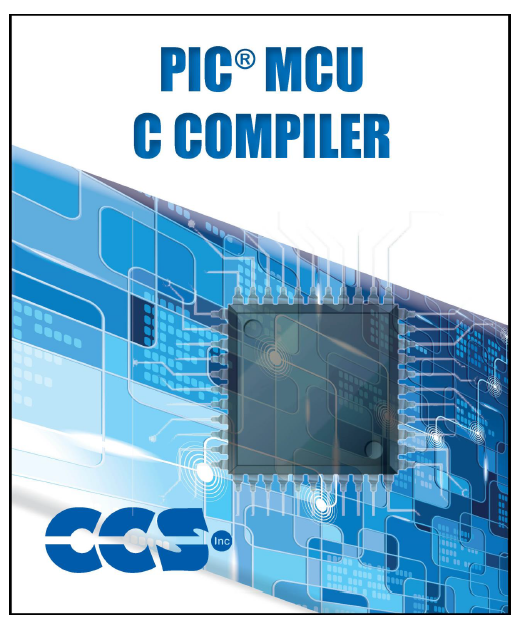 The compiler used is CCS PIC C.
PIC18F4550 internal oscillator is used in this project and MCLR pin function is disabled. 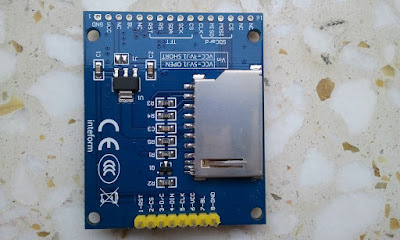 The microcontroller runs with its internal oscillator at 8MHz. 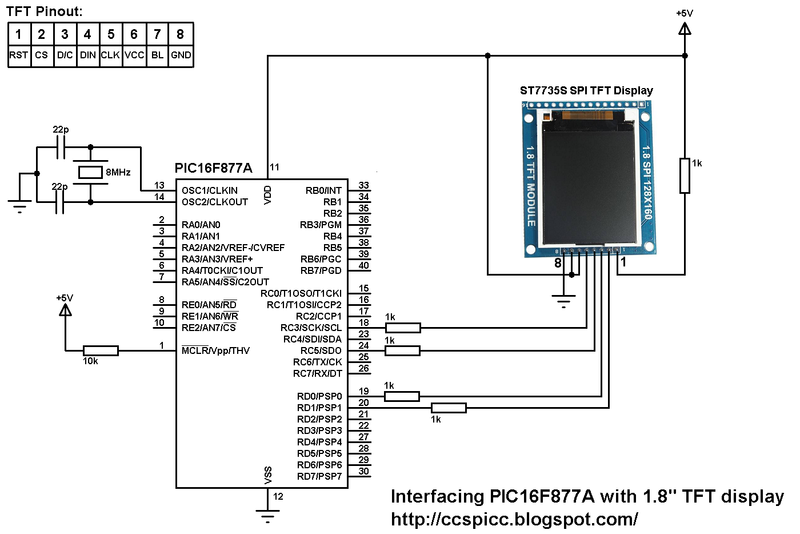 The ST7735 SPI TFT library allows the interfacing of this display with any PIC microcontroller more simpler and easier. This library is based on the Adafruit TFT library for Arduino. This library works with any PIC microcontroller with or without SPI module (hardware SPI is faster than software SPI). Basically the TFT display has 5 control lines: RST (Reset, active low), CS (Chip Select, active low), DC (Data/Command), SDA (Data Line) and SCL (Clock Line). The following colors are defined in the library. fillScreen: fills the whole screen with a given color. drawFastVLine: draws a vertical line starting at (x,y) with height h.
drawFastHLine: draws a horizontal line starting at (x,y) with width w.
drawCircle: draws a circle where (x0,y0) are center coordinates an r is circle radius. drawRect: draws rectangle at (x,y) where h is height and w is width of the rectangle. fillRect: fills a rectangle starting from coordinates (x,y) with width of w and height of h.
drawLine: draws a line from (x0,y0) to (x1,y1). drawRoundRect: draws a rectangle with rounded edges. h: height, w:width, r: radius of the rounded edges. drawTriangle: draws a triangle of coordinates (x0,y0), (x1,y1) and (x2,y2). drawChar: writes a char (c) on the TFT at coordinates (x, y). size: char size. 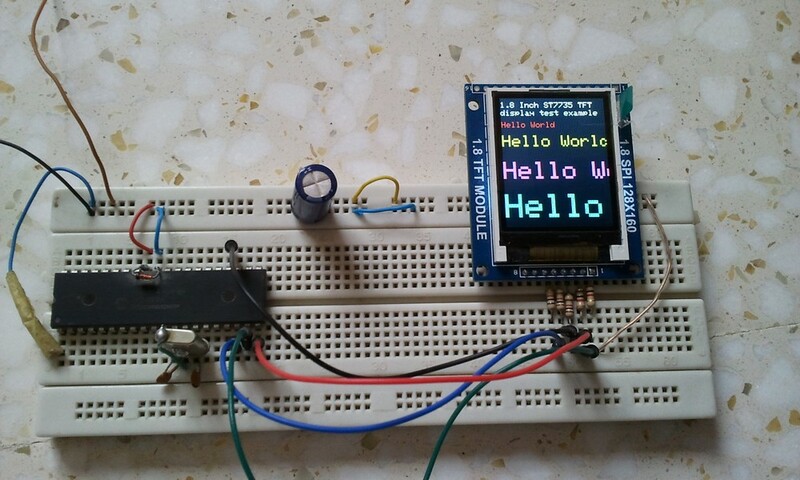 drawText: Writes text (*text) on the TFT at coordinates (x, y). size: text size. setTextWrap: turn on or off wrap of the text (TRUE of FALSE). 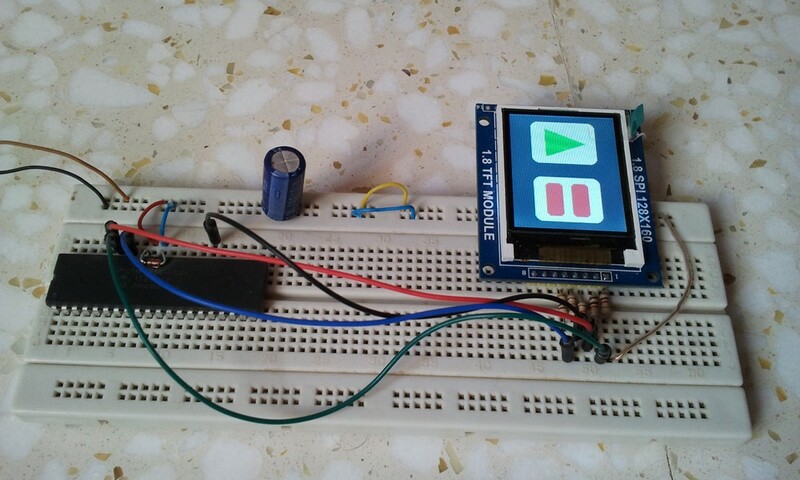 invertDisplay: invert display colors (TRUE of FALSE). _scroll_direction: is scroll direction (0 for top to bottom and 1 for bottom to top). VerticalScroll: This command is used together with the last command. These two commands describe the scrolling area and the scrolling mode. 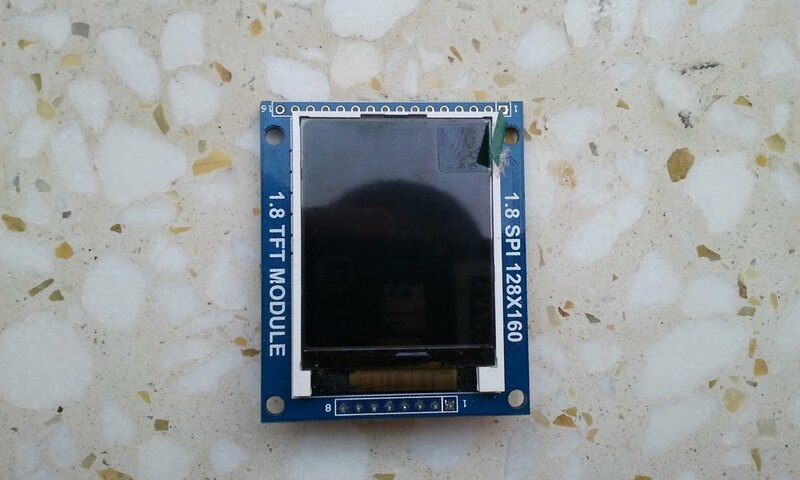 NormalDisplay(): returns the TFT display to its normal state for example exit from scrolling mode. August 2017: Added draw BMP images from MMC/SD card. November 2016: added vertical scrolling. The driver C file can be downloaded from the following url. Put the C file in the CCS C driver folder of just in the project folder. Some of the ST7735 SPI TFT library examples.